Corel USER to USER Web Board • View topic - Admin of this Forum! Administrator of Ulead/Corel website has used Adobe PS?! As Steve (and the rest of the moderators, and a couple other admins) are volunteers, and not employed or paid by Corel in any manner, what's the big deal? If one wasn't allowed to use any other company's software in order to be a moderator, there wouldn't be any moderators. Last I checked, it's (mostly) a free world. I'm not about to limit myself to only Corel/Ulead software. Now if Bill Gates had an iMac in his office, that would be cause for embarrassment. VikingAnimations wrote: Now if Bill Gates had an iMac in his office, that would be cause for embarrassment. I don't see why it would, how else is he going to kow how good - or bad - they are if he doesn't have one? Microsoft has many Mac MVP's, who work on MS apps on Macs, to help other users. I meant that he used it exclusively, and no Windows machine. I can't believe it. You have all lost all credibility with me. Actually You will find Adobe Photoshop is listed in my signature plus a few other non Ulead/Corel products. What this means is that I am able to give an informed opinion when someone asks for a comparison between the various products. In fact how many people here are using Microsoft Word? Word Perfect - and Yes I do have a copy (albeit a bit old), plus Star Office. Windows 3.11 / Windows 95B / Windows 98SE / Windows ME / Windows 2000 / Windows XP Home Edition / Windows XP Pro / Windows Vista Home Edition / Mandrake / Mandriva / SUSE / Linspire / Open Solaris / Ubuntu / Fedora / Xandros and a few more I can't remember off the top of my head tucked away in my laptop which is currently turned off. What is important is that I am here to help and assist users of the Corel Digital Media Software. Why - because that is the software I tend to use the most despite having a lorry load of the stuff!! 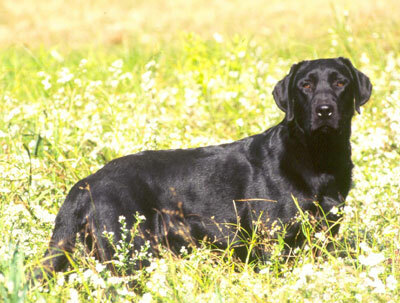 Black Lab wrote: I can't believe it. You have all lost all credibility with me.